When students decide where to go to college, they evaluate the quality of life on campus — where they live, what they eat and how they socialize. Princeton University’s residential life initiative challenged us to create a new dining experience, with a kitchen and servery that broaden the food choices, and a variety of seating arrangements. 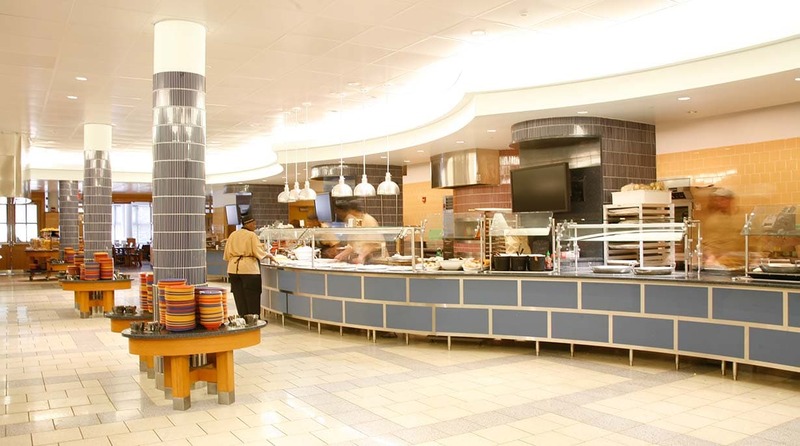 The result is a more lively, comfortable and intimate experience than the grand dining halls elsewhere on campus. Every new university building or addition becomes part of the campus fabric. 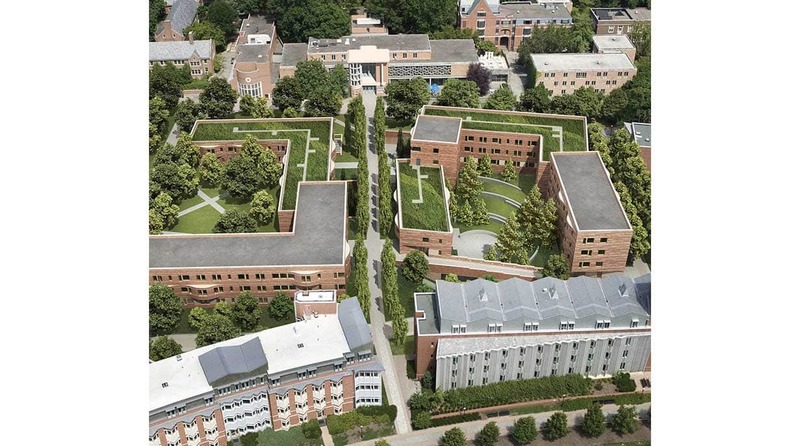 Wu and Wilcox Halls – which provide food service to Butler and Wilson Colleges — face a major pedestrian path through Princeton’s campus. The sculptural forms and expanded scale of the new accessible entrance we designed for Wilcox contrasts with the filigreed sunscreen on the existing building’s 1960s façade, and balances the boldness of Wu Hall, designed by Robert Venturi in the 1980s.